Flatbreads made in your Oster® Stainless Steel Convection Oven with Pizza Drawer can save time on busy days and get a delicious meal on the table fast. Instead of sacrificing a balanced meal for convenience, you can feed your family a sizzling, restaurant-quality flatbread made with whole-wheat dough and piled high with vegetables, lean proteins and even fruit! Enjoy a quick and easy dinner by making the flatbread recipes below. To make prep even simpler, you can purchase ready-to-cook whole-wheat flatbreads at the supermarket, but if you have more time you can roll out pizza dough into a thin layer and then slice into smaller pieces before cooking. Piled high with veggies, this simple but flavor-packed flatbread will get a thumbs' up from vegetarians and meat-eaters alike. 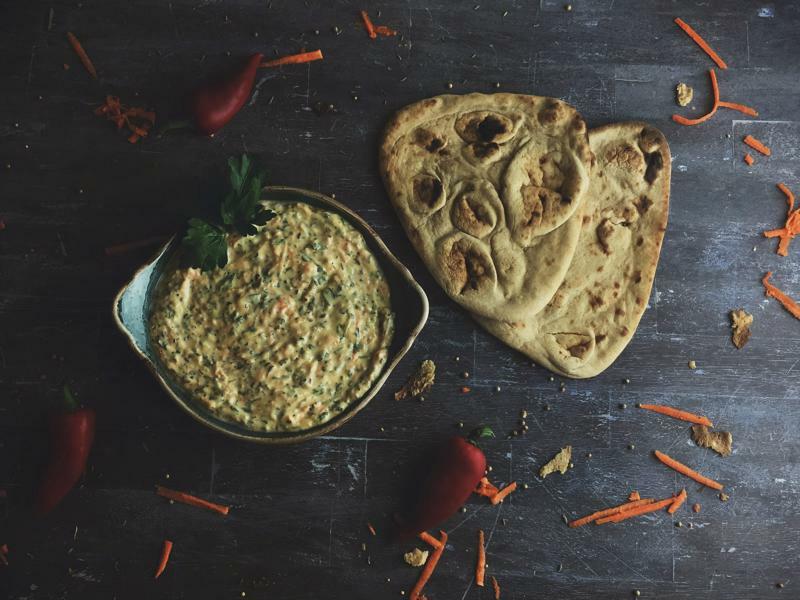 Toast the flatbread with the veggies, then dip in the hummus for a dinner made fun. Brush flatbreads with 2 tablespoons olive oil, then top with olives, zucchini, onions, bell pepper and tomatoes. Cook in the Oster® Stainless Steel Convection Oven with Pizza Drawer at 400 degrees for 4-5 minutes or until flatbread is lightly browned. Remove from oven, then add feta cheese. Return flatbreads to oven and cook for an additional 3-4 minutes or until cheese is slightly melted. Drizzle with lemon juice and remaining 2 tablespoons of olive oil then sprinkle with salt and pepper before serving. Top flatbreads with hummus, feta cheese and veggies for a delicious and easy dinner. ​Creamy and delicious with a dose of nutrients from broccoli, this flatbread is a lighter but still satisfying take on classic comfort food flavors. Brush flatbreads with olive oil. Add broccoli and chicken on top of flatbreads, then season with salt and garlic powder. Cook in the Oster® Stainless Steel Convection Oven with Pizza Drawer for 4-5 minutes until broccoli is slightly tender, then remove from flatbreads from oven and sprinkle with cheese. Return to oven and cook for 3-4 minutes until cheese has melted; enjoy. Beef is swapped for lighter lean ground turkey in this tasty flatbread recipe that's sure to satisfy your hunger. In a small bowl, mix together tomato sauce with seasonings, then spread mixture on flatbreads. Top with turkey, tomatoes and onions. Cook flatbreads in the Oster® Stainless Steel Convection Oven with Pizza Drawer for 4-5 minutes until flatbreads are lightly browned. Remove flatbreads from oven and top with shredded cheese, then return to oven for an additional 3-4 minutes until cheese is slightly melted. Garnish flatbreads with lime juice, cilantro and sour cream before serving. Sweet ham, juicy pineapples and a light sprinkling of cheese makes for a mouthwatering dinner any night of the week. Brush flatbreads with olive oil, then top with diced ham, pineapple, scallions and parsley. Cook in the Oster® Stainless Steel Convection Oven with Pizza Drawer for 4-5 minutes until flatbreads are lightly toasted. Remove from oven and top with cheese, then return to heat and cook for 3-4 minutes until cheese is melted; enjoy.